When it comes to my beauty, skincare and body... I am a huge procrastinator. I am guilty of sleeping with my makeup on. I am guilty of sleeping as late as 3am on a daily basis living me with only two complete hours of sleep before another work day begins. I also have a habit of drinking too much caffeine without replenishing my body with water. And so much more. If there will be a punishment for the above crimes then I am willing to pay the price. As a sign of new beginning, I like to lay down my beauty, skincare and body resolutions. Just like how my Balik Alindog Program goes I want to update too about this one probably at the end of the month. I will also track these resolutions on my bullet journal so that I won't miss any of the items I mentioned here. 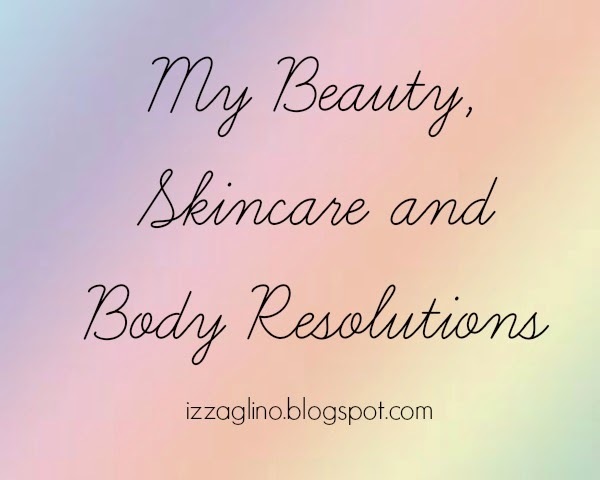 I, Clariza Montes Glino do solemnly promise to be better when it comes to my beauty, skincare and body. 1. I will now cleanse, tone and moisturize day and night. These classic trio when it comes to keeping the best face forward is something that I want to become a habit. 3. I will use a face mask every Monday, Wednesday and Saturday. 4. I will use an eye cream for my undereye circles. 5. I will use a face sunscreen on a daily basis. 6. I will remove my makeup before going to sleep. 7. I will refrain from buying additional makeup especially when I still have enough to last me for the next month. 1. I will have a solid body skincare routine day and night. 2. I will use a lotion twice a day. 3. I will add body oil for added moisture at night. 4. I will do a body scrub thrice a week. 5. I will keep on finding whitening the products that could help even out my skin tone. 1. Since I can't let go of my excessive caffeine I will just swear for a resolution on drinking 7 to 8 tall glasses of water on a daily basis. 2. Pop on some vitamins. Essential for me will be to go back with my Conzace and Vitamin C combo. 3. Fulfill my Balik Alindog Program. 4. Sleep on a regular time daily and wake up earlier than usual. Whew. I am looking forward to the above changes and I hope that it will deeply change my overall system. I know that I might encounter hardships along the way but I am positive that just as long as I focus on my goals and resolution I will reap the good result.